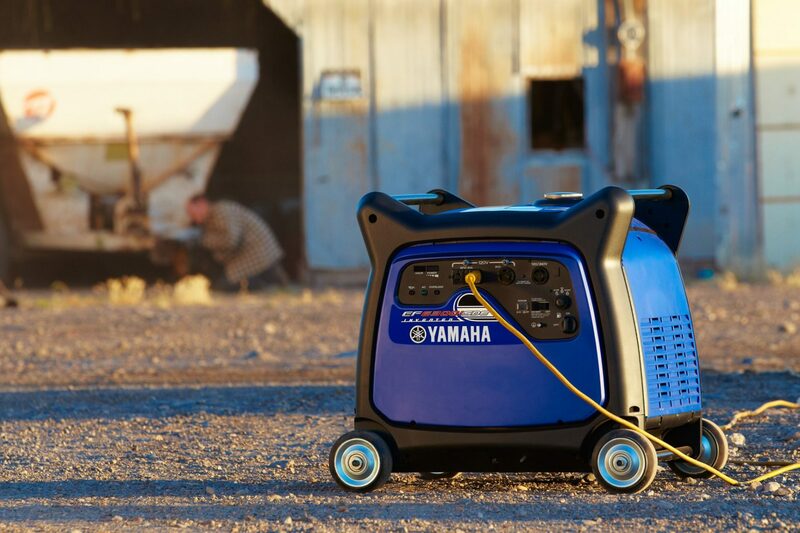 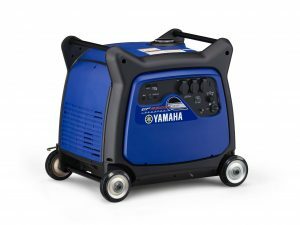 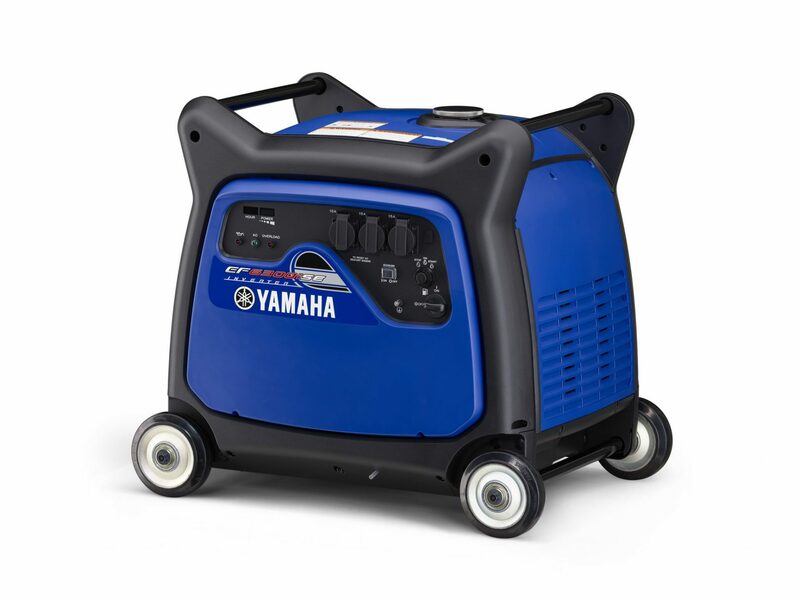 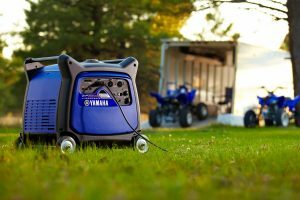 6.3 kW petrol powered inverter generator – The EF6300iSE quietly cranks out up to 6300 Watts of pure sine wave inverter power at 230 volts to confidently run high-demand items like pumps and RV air conditioners, as well as sensitive equipment like plasma TVs and computers. 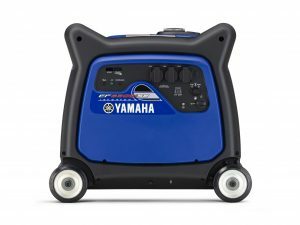 The advanced features packed into the EF6300iSE include: electric start and optional wireless remote to provide you with everything you’d expect from Yamaha in one beautiful, powerful and compact package. 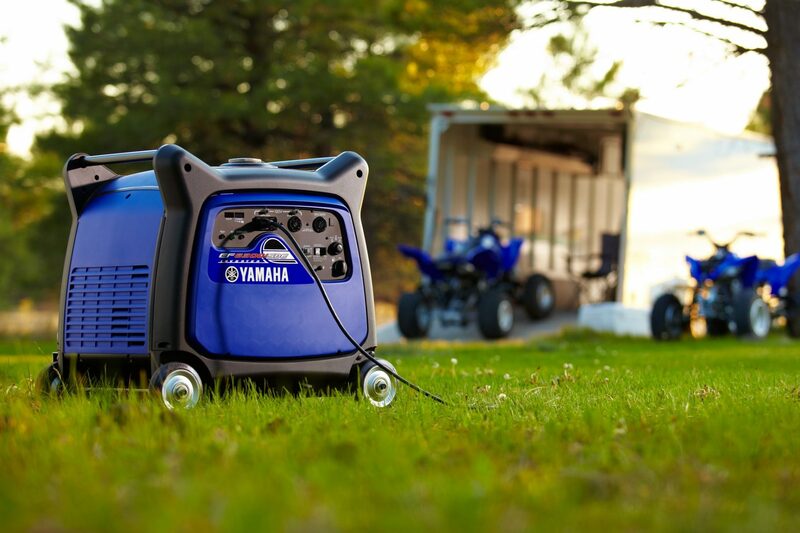 Provides effortless starting, electric motor cranks generator until it starts.